I originally labelled the plant Calluna vulgaris. 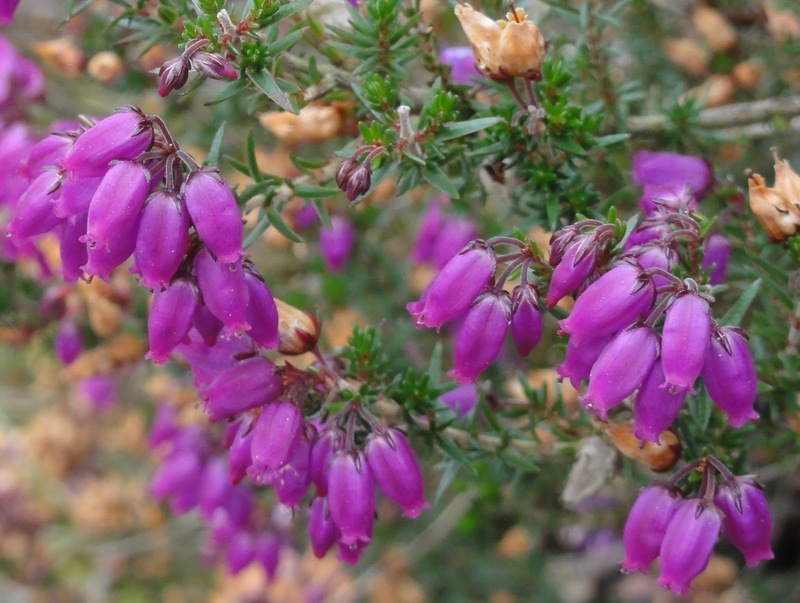 It is in fact bell heather, Erica cinerea, which is the other common heather growing in the North York Moors. My thanks to Martin Allen https://twitter.com/botanicalmartin for the correct identification and information about the plants.